A bantamweight showdown between John Dodson and highly touted prospect Petr Yan is in the works for the upcoming UFC Fight Night card in Prague, Czech Republic on Feb. 23. Sources close to the situation confirmed the news on Thursday following an initial report from ESPN. Yan had previously confirmed that he just signed a new multi-fight contract with the UFC after starting out his career with the promotion by going 3-0 with two knockouts on his resume. Most recently, Yan dispatched of Douglas Silva de Andrade at UFC 232 for his third fight in 2018 and he’s wasting no time booking his next contest in 2019. Dodson will represent the biggest step up in competition for the Russian as the former ‘Ultimate Fighter’ winner is a two-time title contender while currently being ranked No. 8 in the division by the UFC. 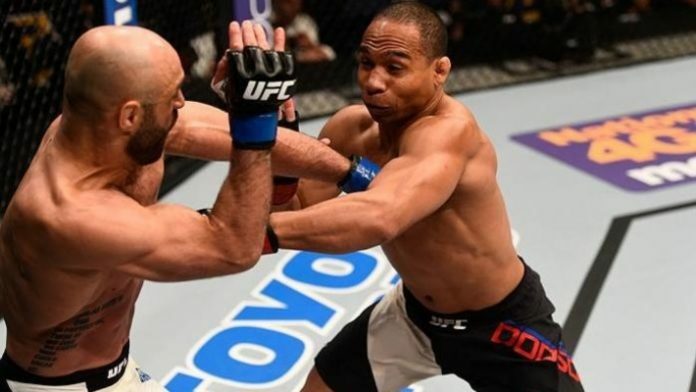 Dodson has bounced back and forth between wins and losses over his past six fights at bantamweight so he’ll attempt to get some momentum going when he returns in February for the matchup against Yan. UFC Fight Night from Prague will air live in the United States on ESPN+.